← Welcome, Trainee Class of 2016-2017! 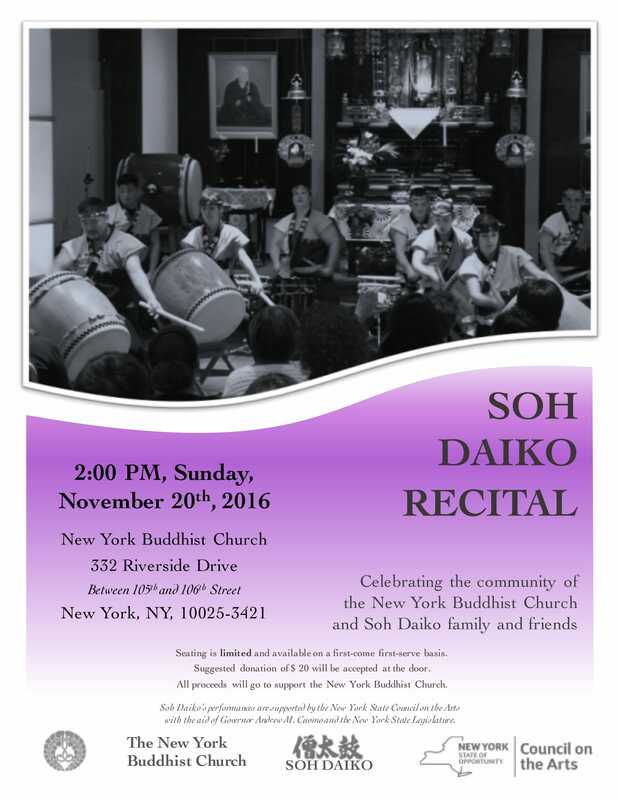 Join us once again to celebrate the community of the NYBC and Soh Daiko’s family and friends by attending our recital on Sunday, November 20th. In addition to Soh Daiko members, the performance will feature a guest appearance by the children’s taiko class (led by Teddy Yoshikami), and serve as the debut performance for some of our new trainees. 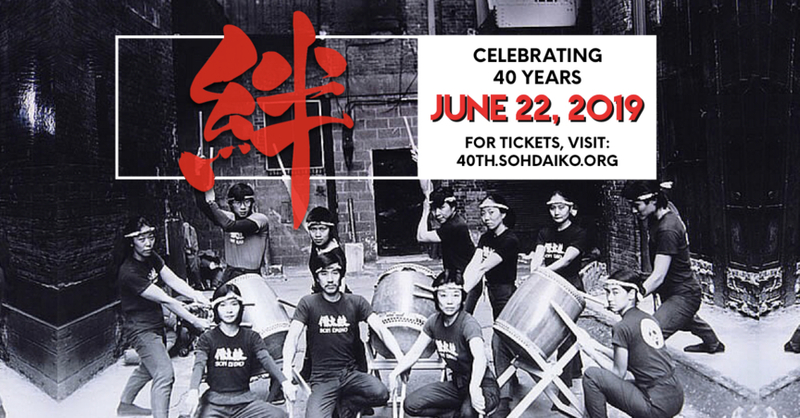 All donation proceeds from this event will go to benefit the NYBC, whose continued support has helped to keep Soh Daiko running strong throughout the years.